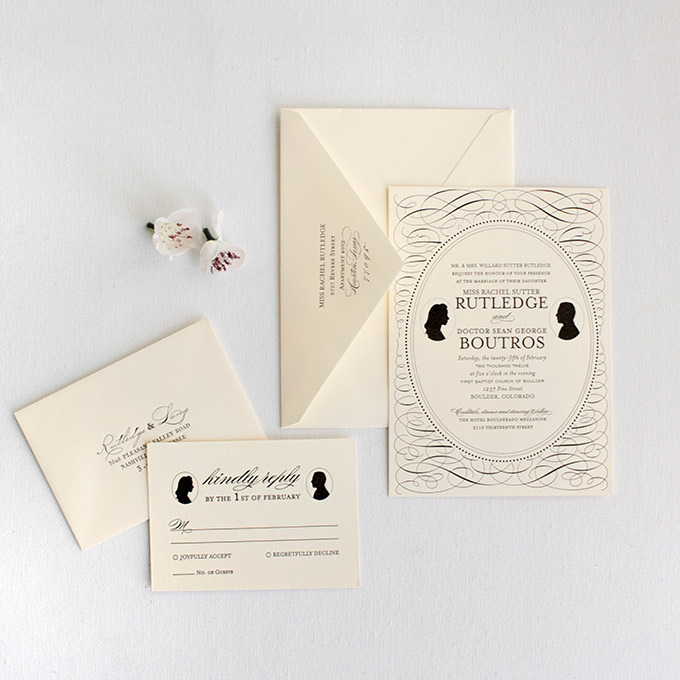 I just wanted to tell you that when people received our Hemingway invitations they were in awe! 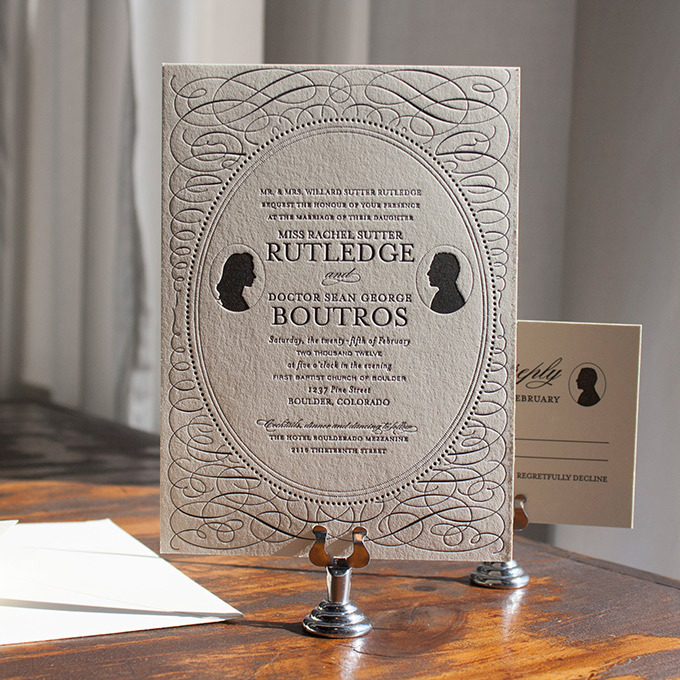 My favorite response: “ Your wedding invitation is the first invitation I ever got that actually made me jealous!” We will cherish them forever! 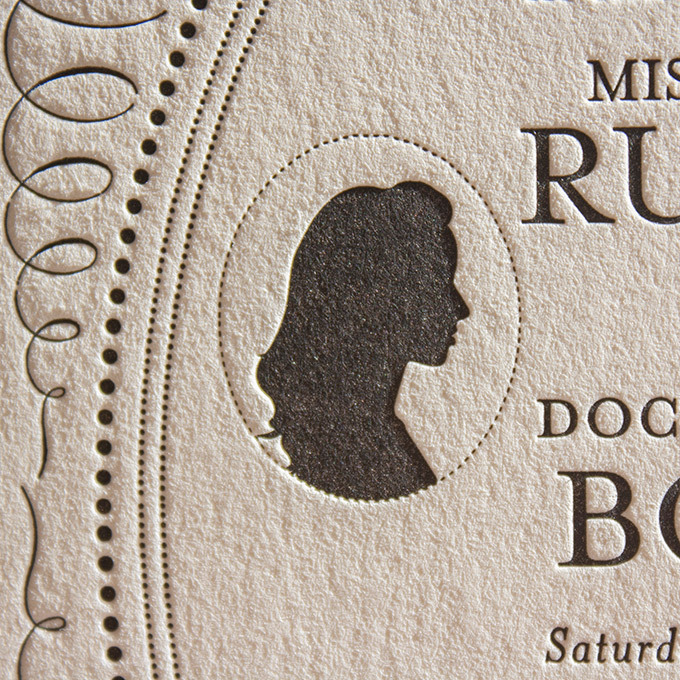 Submit your profile photographs and Lucky will create custom silhouettes in your likeness to adorn these dreamy cameo-inspired invitations. 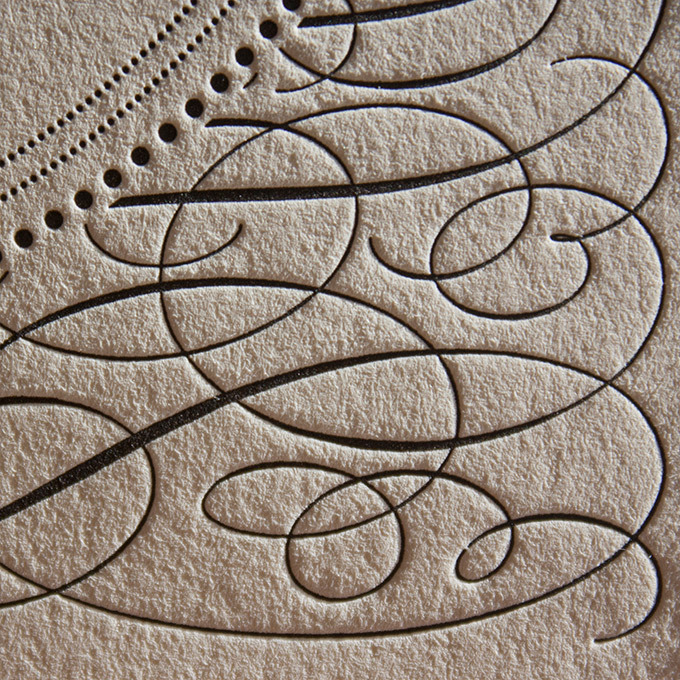 Delicate calligraphic flourishes and timeless typefaces make the Heirloom invitation a most treasured keepsake.